Home Blog I received a trademark cease and desist letter. What do I do now? Part of running a successful business is creating and owning intellectual property. Trademarks are particularly valuable to businesses as they are used to help the public recognize a business’s goods or services. 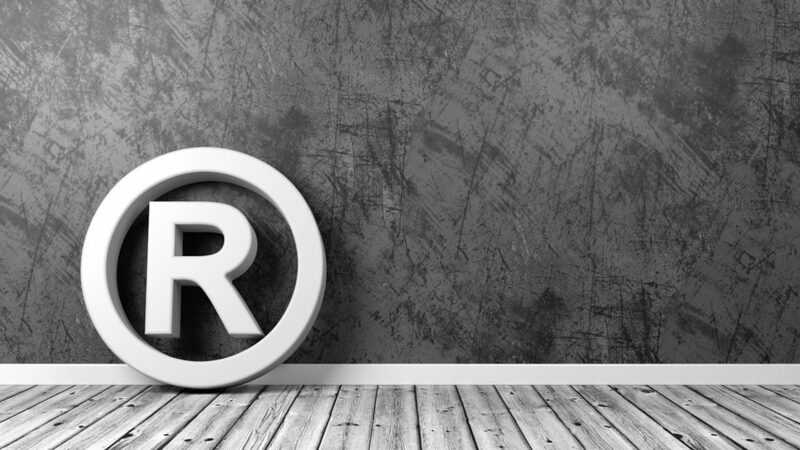 Because they are so valuable, it is important for businesses to protect their trademarks. One of the most common first steps in protecting one’s trademark is sending a cease and desist letter. A cease and desist letter is usually drafted by an attorney and sent to an individual or business to make them aware of their infringing use of a trademark. The letter will describe each trademark (or “mark”) and explain why the recipient’s use is infringing. Of course, the letter will also demand that the recipient cease and desist use of the trademark. So, you have received one of these letters, claiming that you are infringing on someone else’s trademark. What are your next steps? First, take a deep breath. A cease and desist letter is not the end of the world. It is also not a legal notice of a lawsuit, so, there’s no need to worry about needing to file anything in court. At best, a cease and desist letter can be viewed as a “warning shot.” Now that we have established what a cease and desist letter isn’t, let’s talk about what receiving one means and what you should do next. Does this mean I am infringing? A cease and desist letter does not necessarily mean you are infringing. As a matter of fact, many times these letters are simply used by individuals or businesses to intimidate others, even if they have no legal ground to claim infringement. These letters have even been sent out by young businesses in cases where the accused infringer (you) has clearly held the trademark for longer. This is important because one of the elements of holding a valid trademark is having “priority.” Priority means that you are the first one to use that particular trademark in connection to a good or service. Whether your use of a word or design is infringing on someone else’s trademark is a question that can only be answered with a detailed analysis. While it is possible that you have received a cease and desist letter because you actually are infringing in some way, it takes more than a letter to make that determination. In order to prove that you were infringing, the person sending the letter must show (1) that they hold a valid trademark and (2) that you used that mark in a way that is likely to cause confusion to the public. In order to determine if your use of the mark is likely to cause confusion, a court would have to look to a list of “factors”. Some of these factors include: how close are the two marks; do the two businesses using the marks operate in the same industry; do the businesses operate in the same geographical location; etc. The point is, don’t panic. While it is a serious matter to receive a cease and desist letter, and you certainly should not just ignore it, it does not mean that you have done something wrong. That being said, it is still important to move forward carefully. You should not respond to a cease and desist letter yourself. Remember, because this letter serves as a warning shot, what your next steps are may be very important later if the sender decides to proceed with legal action. Sending a letter directly to the sender may, and likely will, ultimately be used against you. Even if your intentions in sending the letter are good, you never know how what you say might be used against you. Even though you should not respond on your own, you cannot simply ignore the letter. Because of this, it is always best to go to an attorney and seek advice on what you should do next. An intellectual property lawyer will be able to help you determine whether the letter represents a serious concern or is just an intimidation tactic. If you hire the attorney, he or she will also be able to tell you if your use of a word or design may actually be infringement. One of the ways the attorney will help you determine that is by conducting a full trademark search with the United States Patent and Trademark Office (USPTO). A trademark search allows the attorney to determine whether the individual sending the letter has a valid trademark and, if they do, whether they have priority. The attorney will also be able to analyze whether there is actually a likelihood of confusion between your mark and the sender’s mark. Just because your mark may be similar to someone else’s does not mean it will cause confusion. Ultimately, the attorney can help you draft a response that is well thought out and legally sound. Sometimes, by engaging an attorney for a matter like this, you can even discover that the sender of the cease and desist letter may actually be infringing on your mark! Bringing the letter to an attorney is the best way to make sure you are protecting your own interests, while ensuring that you are not infringing on anyone else’s rights. It may seem like hiring an attorney just because you received a letter is a bit extreme, but think about what the letter represents. A cease and desist letter states that you are doing something wrong and must stop “or else.” With the possibility of bigger issues down the road if you do nothing, it is always best to seek out help sooner rather than later. So, what do I do in the mean time? You received the letter yesterday and your consultation with an attorney isn’t until next week, what do you do in the mean time? The first thing you should do is start gathering information. You should try to collect any relevant documents related to your mark. These could include examples of using your mark on business documents; proof of using your mark early on in your business; and, if you have already registered your trademark at the USPTO, your proof of registration. You can even gather information related to the business that sent you the letter. Have you ever done business with them before? Have you ever heard of them or communicated with them before receiving the letter? What kind of business are they in? These are all relevant questions that would be good for you to discuss with your attorney. Another thing for you to consider is whether you should stop or at least reduce use of the trademark in question. Of course, if the mark is your business name, it may be unreasonable for you to stop using it. However, if it isn’t your business name, but maybe the name of a product you have or a slogan you use, it may be more reasonable for you to stop using it. If you stop or reduce use of the mark, it is not admitting that you did something wrong, so don’t worry. However, because there is a chance that you may be infringing, it is always best to show that you did the right thing as soon as possible once you were made aware. Once you meet with an attorney, they will be able to tell you whether discontinuing use is really necessary. Receiving a cease and desist letter can be scary. But don’t worry! Just because you received this letter does not mean you did something wrong. Every business owner knows that it is important to protect the business’s intellectual property rights. Chances are that you received this letter because the business owner was trying to protect their business. Your best bet is to speak with an attorney. Partners, Rachel Brenke and Andrew Connors have become intimately knowledgeable with intellectual property laws, including trademark registration and litigation. The firm has become highly-sought after for their expertise and knowledge in this very intense area of the law. If you are concerned about receiving a cease and desist letter, don’t hesitate to contact Connors and Brenke to help you through your next steps. While we are Virginia-based trademark lawyers, we have offices around Virginia and work in many states through partnerships with other attorneys. Written by 3rd year law student and legal intern, John Riordan, under the advisement of Andrew Connors, Virginia-licensed lawyer.